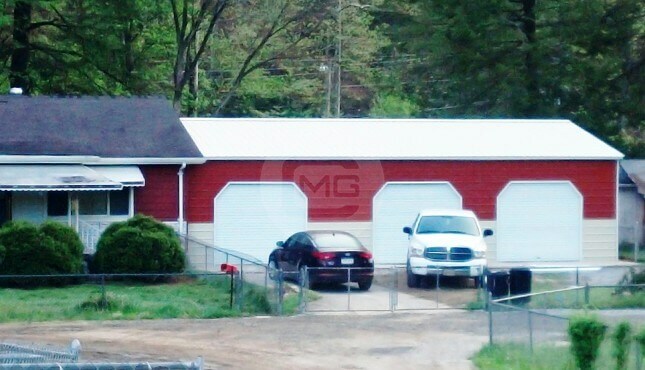 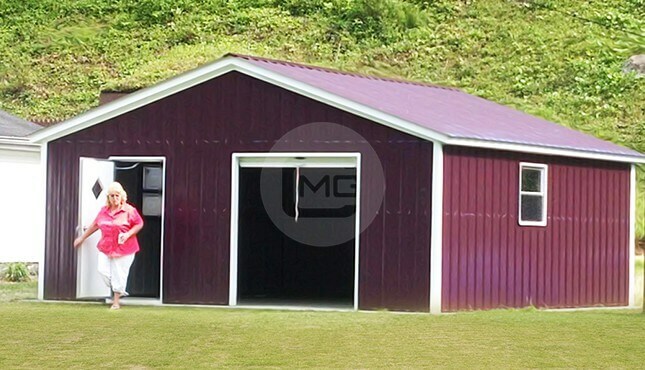 The building shown above is one of our single car garages. 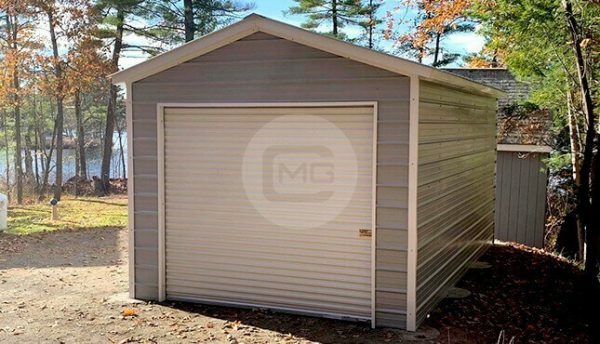 It has dimensions of 12’W x 20’L x 9’H with a vertical roof, one 8’x8’ roll-up garage door on the front end and one standard (36”x80”) walk-in door on the side. 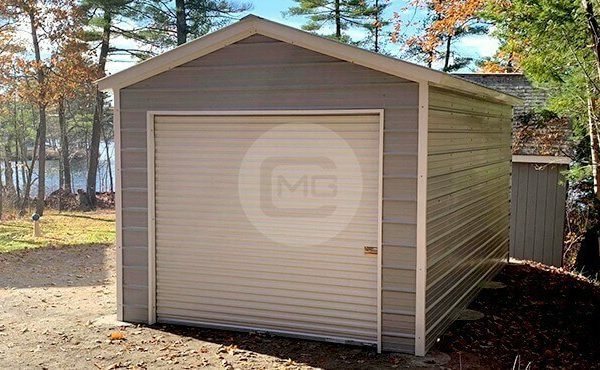 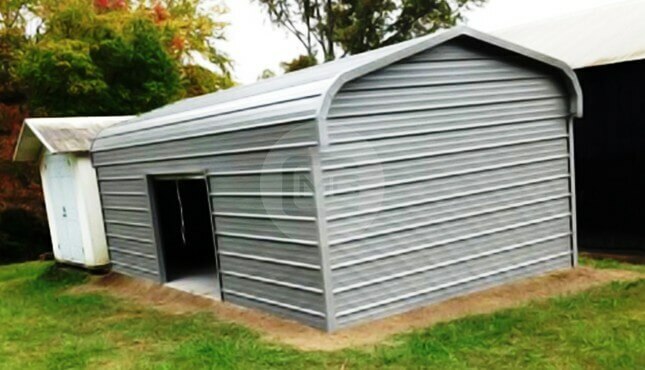 You can use this garage to shelter your car or convert it into a personal workshop, yoga studio, office space, or man cave. 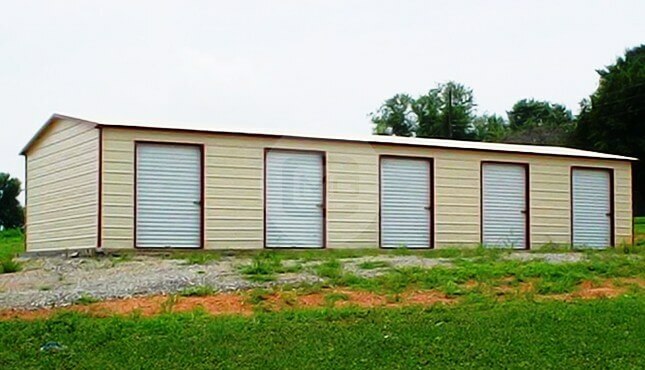 For more ideas, you can give one of our building specialists a call at (980) 321-9898. 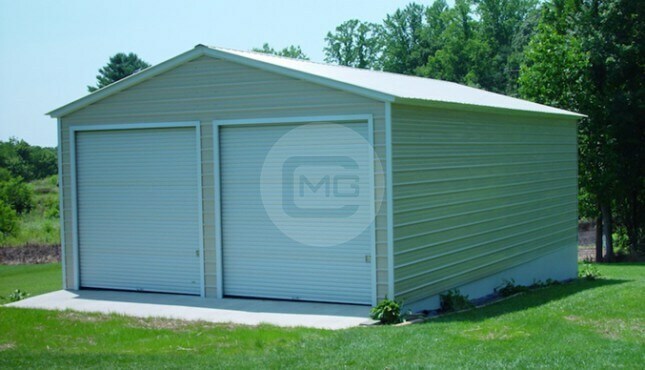 While we delivery and install our buildings for FREE, we do not provide any concrete, groundwork, or preparation. 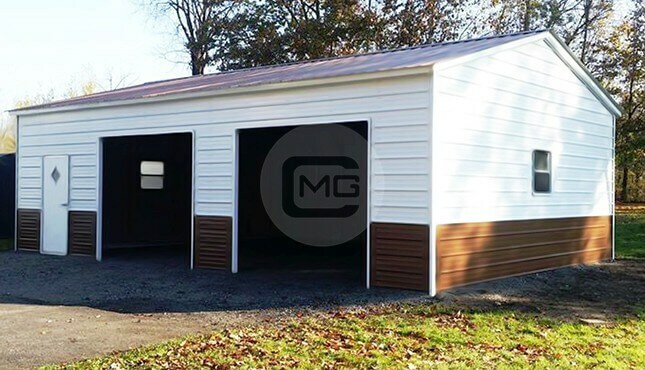 You must have your site leveled before the day of installation and free of any debris or vegetation. 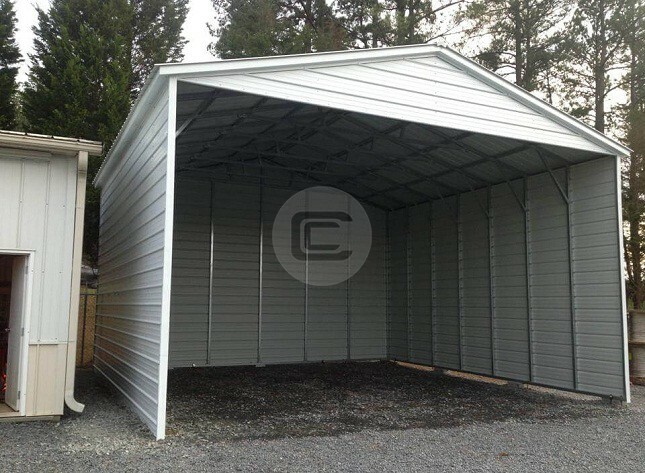 We do back our products with excellent warranties; one-year workmanship, ten-year for panel (cracking and chipping only), and twenty-year rust-through on both 12- and 14- GA steel framing. 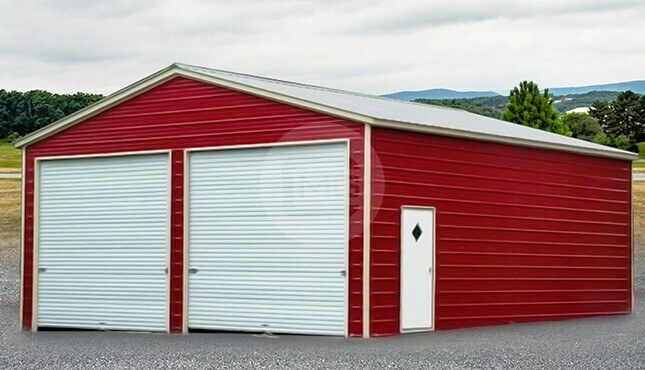 One-year workmanship warranty, ten-year panel warranty (chipping and cracking only), and 20-year rust through warranty on both the 12-gauge and 14-gauge frames.